You ask we answer. 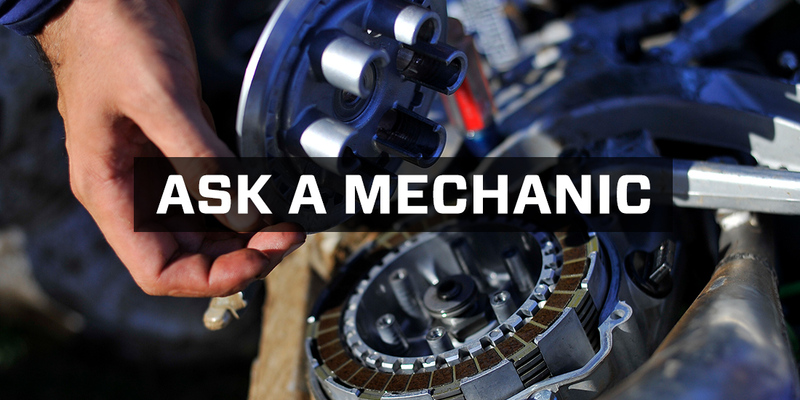 Here's the latest in our "Ask a Mechanic" series. Q: I am having trouble aligning my graphics to the plastic. I keep pulling them off to start over. Any suggestions? A: If someone ever develops a machine that precisely slaps on dirt bike (or ATV) graphics to plastic, not only will that person be rich but forever be immortalized in our industry. Most people hate this chore. It takes forever and if you can find someone who will take a few twenties or even a 12-pack most riders gladly open their wallets. Bubbling and sticky (or lack thereof) problems cause lots of fits but misaligned graphics to the shroud, fenders, you name it is the most common issue DIY graphic putter-onners have. If you are trying to lay down graphics to plastic already installed, I say good luck. The best way to prevent the aforementioned difficulties is to use new plastic or thoroughly clean your current graphics, give yourself lots of room, take a huge dose of patience and stand over the top of the plastic that sits on a table of average height. Beginner's luck may apply but don't expect perfect lines your first, second or third time. It takes a while to master. Misaligned graphics are installer error or manufacturer error. Either you put them down wrong or a bad template was used to make the graphic so it's too small or too big for the specific piece. One problem with laying them down, lifting back up and laying down again is you decrease the stickiness of the graphic. So, if you're the persnickety type take them off once and try again but I wouldn't do it much more than that and learn to live with imperfection. The better solution - take a deep breath - is to stretch and pull the graphic to fit and/or use a razor blade to cut off any excess. In this case you are attempting to fit a square peg in a round hole. Finally, we can't let this question go without touting our excellent custom graphics department. We usually get it right but if not, we gladly make a new set or offer a refund. If you need new graphics we can help. Check out our graphic kits, backgrounds and custom graphics. Check out the rest of our "Ask a Mechanic" series here.